One game series that is getting attention for its complexity and teachable moments is Bungie and Activision’s Destiny games, a bold world of action and adventure where kids are a Guardian of the last safe city on Earth. If you’re a veteran and have followed the game from its inception, you may like the newest release, Destiny 2. If you’re a newbie, Destiny The Collection, contains five games in one epic collection. And best of all, it’s available for less than $30 at Amazon. * Astronomy. The game offers a futuristic fictional scenario of our solar system, where humans colonized other planets but were mysteriously brought to the brink of extinction (with known survivors now living in and defending Earth’s last city from alien invaders). * Problem solving and creativity. Players not only fend off alien antagonists, but must also solve mysteries, create their own avatar race and class, and complete multiple tasks. * Hand eye coordination. 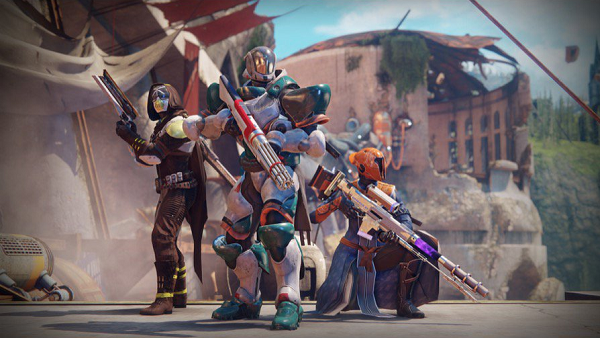 As a shooter-based game, Destiny features combat against an onslaught of alien enemy attacks from all angles. * Teamwork. The game contains three-player strikes and six-player raids, requiring communication and teamwork. * Socialization. Unlike other similar shooter-based games, Destiny does not have blood, gore, or adult content. Instead, the game is rated T for teen and focuses on sci-fi fantasy and discovery, making it a perfect game for parents and siblings as well. Currently both games are offered on the PlayStation 4 and Xbox One platforms. In addition, Destiny 2 is also available for PC. For more information, please visit www.destinythegame.com.